VIOLINIST ROY MALAN was responsible for the delightful program of the Santa Cruz Chamber Players on October 29 at Christ Lutheran Church in Aptos. Billed as a program of “Lesser known gems of the great composers,” it should have read “Lesser performed gems…,” because among string players these works are well known and often played, though perhaps not so much on the concert stage. The program favored the strings, with the piano participating in the final piece only, a trio by Sergei Rachmaninoff. George Gershwin composed Lullaby for string quartet at the age of 21 as a student class assignment. It was a sweet opener to this concert, with gentle sounds enhanced by ringing harmonics in the highest register of the violin. The slightly syncopated rhythms are gently incorporated into the fabric. Malan was joined by Susan Freier, violin; Polly Malan, viola; and Stephen Harrison, cello. They produced a lush sound with flexible rhythmic pacing. The 1919 work carries hints of French composers of the era. But the meat and potatoes of the program was the Elegiac Trio No. 2 of Rachmaninoff. As in the Gershwin, this is a youthful work, composed at age 20. Written as a response to the recent death of Tchaikovsky, the young Rachmaninoff pours out his heart over the three movements. The work is large, with harmonies and melodies that the composer will later incorporate into the piano concertos that audiences have come to know and love. The performance was marked by a shared sense of purpose among the players. Malan’s playing is characterized by rhythmic expressivity with vivid shadings of tone color. That seemed to influence Harrison’s warm cello sound that matched the violin especially in lyrical duet moments. Pianist Keisuke Nakogoshi (pictured) provided a strong performance that complemented the strings without overpowering them. Even in climactic and loud moments his sound was warm and never heavy. The opening movement has huge proportions and expresses a large range of emotions, from delicately quiet and tender to thunderous statements. The second movement, a theme and variations, allowed the ensemble to explore a great variety of expressive sounds. The final movement is surprisingly concise, and brings the monumental work to a somber and quiet close. PRESENTED BY the Santa Cruz Chamber Players, the Del Sol String Quartet offered a program tailored for Santa Cruz audiences accustomed to hearing cutting-edge works. All the composers represented on the program either have lived in Santa Cruz or have performed here with the Cabrillo Festival of Contemporary Music. And a world premiere by local resident Josef Sekon added a bit of expectation to the concert at Peace United Church in Santa Cruz on Sunday afternoon. Founded in 1992, the Quartet is based in San Francisco and performs internationally. Much of their repertoire was written for them, and they have made several recordings of music composed within the past few decades. They performed a concert at the Cabrillo Festival in 2012 in a program that included some works heard on this outing. The Del Sol is unique in that the violinists and the violist prefer to stand when they perform, breaking a 250-year-old tradition of a seated string quartet. This surely gives them more freedom to interact. Another tradition broken is that the two violinists trade off on the first and second violin parts. Traditionally a first violinist always plays the demanding upper register parts in the symphony and string quartet, while the second violinist is branded for life in the lower register with none of the melodic glory. But in contemporary music the parts are not bound to their traditional roles. Opening the program was Fast Blue Village 2 (2007) by Elena Kats-Chernin, born in 1957 in Uzbekistan. The Del Sol had played this at their Cabrillo Festival appearance in 2012. It’s an energetic concert opener, good for getting the audience prepared for a concert of contemporary chamber music. Cabrillo Festival-goers are familiar with the music of Kats-Chernin, who has been a festival composer-in-residence three times since 2010. A very attractive rhythmic groove propels this music forward. Lou Harrison’s String Quartet Set was the most classical work on the program, and the only music from the past century. It was composed while Lou was living in the hills of Aptos in 1978-79. 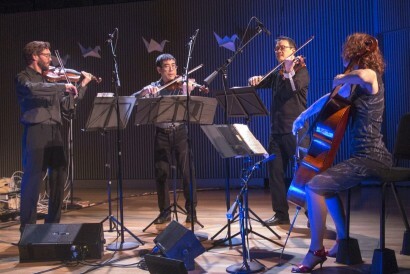 The Kronos Quartet was first to record the work in 1981, and the Del Sol recorded it in 2013, after having performed it at the 2012 Cabrillo Festival. For those of us who have listened to Lou’s music at the Cabrillo and at New Music Works over many decades, it was a joy to see these younger musicians embrace Harrison’s spirit and sound-world. Lou’s work is a delight to hear, as it introduces the medieval scales and rhythms that he was comfortable with. As in much of his music, there is an abundance of melody and rhythm with little regard to harmony. He draws from a wide variety of sources including a 12th century song, a medieval peasant dance, a French Baroque Rondeaux, and a Turkish rhythmic mode. 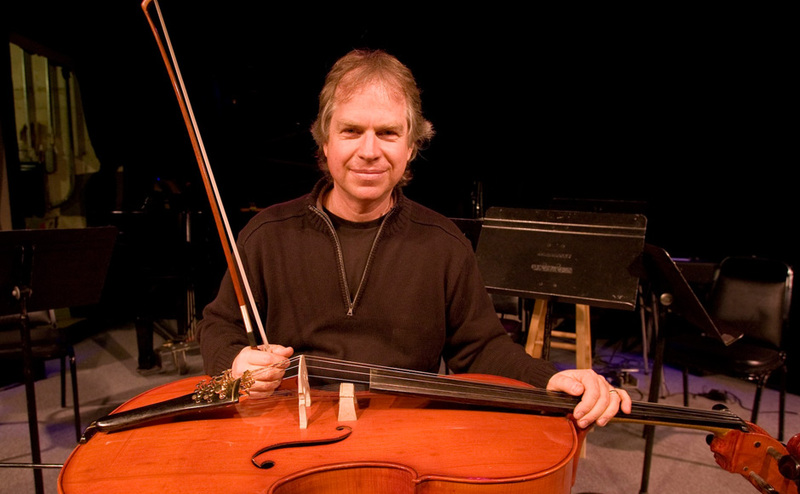 The peasant dance, or Estampie, was a favorite of Lou’s that he used in many works, with a sustained drone, while the cellist becomes a percussionist with tapping the body of the cello and using a mallet on the strings. The audience was eager to hear the world premiere of Josef Sekon’s Adendo, a one-movement work that explores just about every string technique available, creating colorful and vibrant sounds. There is a lot of plucking and sliding on the strings (what musicians call pizzicato and glissando). At times the tone clusters shimmer with harmonics and tremolo, sounding like a musical representation of clusters of butterflies. 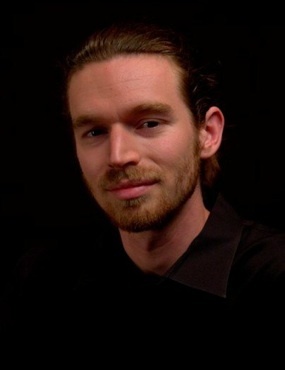 Sekon, on the music faculty at Cabrillo College, has created a high-energy piece that makes good use of the string quartet and all its resources. One can hope that the work will receive more exposure. Lembit Beecher grew up in Santa Cruz in the 1980s and ‘90s and is an active performer and composer on the East Coast. His These Memories May Be True is a musical response to the stories of his grandmother who escaped from Estonia during World War II. An earlier work, a one-act opera based on the same stories, was premiered just last year at the Metropolitan Museum of Art. Beecher’s approach is calm. Textures tend to be light, giving the impression that the composer is reluctant to use too many notes. The four movements have titles representing the grandmother’s stories. The first movement has a quiet and wistful mood, the second movement rhythmically engaged throughout. At times the musicians seem to be playing completely different gestures. The following movement is very sparse, with effective use of silence, proving that some musical statements can be accomplished with fewer means. The work’s finale creates beautiful moments of warm, sustained sound. 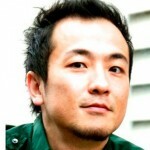 Huang Ruo was born in China in 1976 and now lives in the United States. His Shattered Steps had a world premiere at the 2012 Cabrillo Music Festival. He composed Calligraffiti for string quartet in 2009, the title being a fusion of the words “calligraphy” and “graffiti,” two images that reflect the composer’s experiences in China and in New York. Ruo draws on Chinese elements such as short slides between notes. Long, sustained tones in clusters give way to more fragmented statements. Even microtones are used, best described as notes between the tones of western scales. The work was by far the most challenging music on the program for the audience. To cleanse the ear with an encore, the Quartet offered a movement from Quartet No. 14 by the late Australian composer Peter Sculthorpe, leaving the audience with warm and lyrical string tones. The Del Sol excels with convincing performances. They are comfortable with each other and with the thorniest of scores. Their intonation is superb, allowing their sound to resonate. Most remarkable is how the players are very aware of balance, so that the listener can follow the action more easily. With new music, this is what makes it work in performance. A Sunday afternoon of chamber music has rarely been so rewarding to hear. Violinist Roy Malan and colleagues Susan Freier, Polly Malan, Stephen Harrison and Ian Scarfe presented a program for the Santa Cruz Chamber Players at Christ Lutheran Church in Aptos. With the title “Too Intimate to be Expressed in Public,” the program was dedicated to the “No-hold barred emotions of Dvořák, Shostakovich, and César Franck.” Malan suggested that audiences often respond to the fast movements of a work, whereas it is in the slow movements where composers pour their deepest sentiments. Those sentiments were clearly present in Malan’s reading of Four Romantic Pieces by ian-scarfe-HEADSHOTCzech composer Antonin Dvořák. From the outset listeners were charmed by the serene and gentle sound of the violin with the exquisite and sensitive piano accompaniment by Ian Scarfe (pictured). These small pieces gave the duo ample opportunities to express a wide range of emotions, always stated with subtlety. The folk-like second piece is reminiscent of similarly inflected moments in the composer’s symphonies and piano works. The last piece in the group echoes Schumann’s character pieces. It was a dramatic narrative ending with a tragic descent into the minor key. Cellist Stephen Harrison joined Malan and Scarfe for the Trio No. 2 by Dmitri Shostakovich, composed in 1944 and dedicated to the composer’s late friend Ivan Sollertinsky, who, as a Jew in Soviet Russia, possibly died at the hands of the secret police. That would explain the abundance of drama and otherworldly sounds in much of the work. The cello opens the first movement with a treacherous passage of harmonics, in the highest range possible. The violin enters in a low register, just the reverse of the expected relationship in what turns out to be a fugue. This juxtaposition of range, often by a distance of two octaves or more, is a characteristic in many moments of the work. This performance emphasized the dramatic elements in the writing, at times allowing rough edges in the phrasing. The work can be performed in more elegant style, but this group danced with the peasants, especially in the earthy second movement, played with the schizophrenic klezmer character it deserves. The third movement Largo is a simple but colorful repeated chord progression, creating a chaconne base for the deeply felt lament in the strings. The quiet calm created by the ensemble was interrupted by the final movement that erupts in a “death dance” Jewish melody, interpreted here in a hesitant fashion rather than the usual frenzy. The work finishes as melodies from earlier movements are recalled. The full ensemble assembled for the final work, Quintet for Piano and Strings by the French composer César Franck. The work is a passionate statement, almost orchestral in scope. Such a large sound in the small performing space can be a challenge, and the group met it well, creating a fullness of sound that was warm and expressive. There was a broad sweep to the long phrases. Colorful harmonic shifts in the slow middle movement were made to sound like big chords on a pipe organ. In spite of the grandeur of the last movement, the performance brought out the subtleties in the rhythmic flow. The hero of the concert was pianist Scarfe, always a solid and delicate presence. He seemed perfectly content turning his own pages, not an easy chore considering the fistfuls of notes he played with ease. “A Thread of Time: The Old Becomes New” refracted world music through classical forms in a Sunday matinée by the Santa Cruz Chamber Players, organized by flutist Lars Johannesson. The promise of the program title began with a beautiful Shaker Spiritual Set, Shaker folk tunes arranged and harmonized by Grammy winner Barry Phillips (pictured). Written for flute, clarinet, violin and cello, all six movements were skillfully and artistically crafted with the feel of American folklore sensibilities. Broad open fourths, Ionian and Dorian modes and Irish/Celtic-flavored reels and laments were infused with wit, wisdom and bittersweetness by the band. Bohuslav Martinu’s Variations on a Slovak Folksong for cello and piano proved to be a fast paced passionate ride of Eastern European polyrhythms, meters and Locrian melodies that provided a stimulating juxtaposition of moods. Cellist Amy Brodo and pianist Susan Bruckner, both locally well-known artists, played with precision and spirit. One would never have guessed from the sounds of Charles Wourinen’s Bearbeitungen uber das Glogauer Liederbuch that these pieces were composed in 1962. Except for the use of chromatic instruments and flutter tongue effects the music sounds like straight-ahead early music melodically and harmonically, with repetitive cadences characteristic of the style. Wourinen “re-composed” these 15th century songs for flute, clarinet, violin and cello with great charm. That the Santa Cruz Chamber Players perform this style particularly well makes sense considering their collectively strong backgrounds in baroque and classical music. Barry Phillips’ Threads of Times, commissioned by arts patrons Rowland and Pat Rebele, is a suite of four movements based on the composer’s experiences with a codex from 1350 found at the Abbey in Robertsbridge, England, thought to be the oldest extant music notation for keyboard. Phillips also drew on the church bell at St. Reinoldi in Dortmund, Germany, and an anonymous organ tablature from 1460. “In a way these are ‘daydreams’ …a tribute to the cities or towns they come from,” he says. The first movement opens with solo piano then one by one enters clarinet, flute and strings playing broad harmonies supporting the ancient melodies. Threads of Time exudes compositional skill, artistry and thoughtfulness on a profound level. With not an empty seat in the house at Christ Lutheran Church in Aptos, the SC Chamber Players received a robust and authentic standing ovation from the audience grateful for this rich and masterful contribution of music to our community. APTOS — A delightful concert of refreshingly unfamiliar music, performed in a beautiful space on a sunny day in late fall, was enjoyed by enthusiastic chamber music lovers Nov. 11. The Santa Cruz Chamber Players provided a polished performance reflecting the vibrant colors of the surrounding stained glass at Christ Lutheran church in Aptos. The impetus for this selection of pieces had come from artistic director Jennifer Cass. Her initial concept was to program a quintet by Nino Rota featuring an unusual combination of instruments: flute, oboe, viola, cello and harp. She then found six other gems utilizing various members of this group. All the works featured Cass on the harp and Lars Johannesson on the flute. This imbued the program with a definite French flavor despite the fact that only one piece, “Petite Suite” was by a French composer, Andre Jolivet (1905-1974). In his work, tremolos, trills and glissandi conjured up babbling brooks, opening buds, and the flutter of bees and butterflies in the final section — most appropriate for the spring-like afternoon.